Get that icky stuff off your fruits and veggies! This produce wash gets that icky stuff off your fruits and veggies! 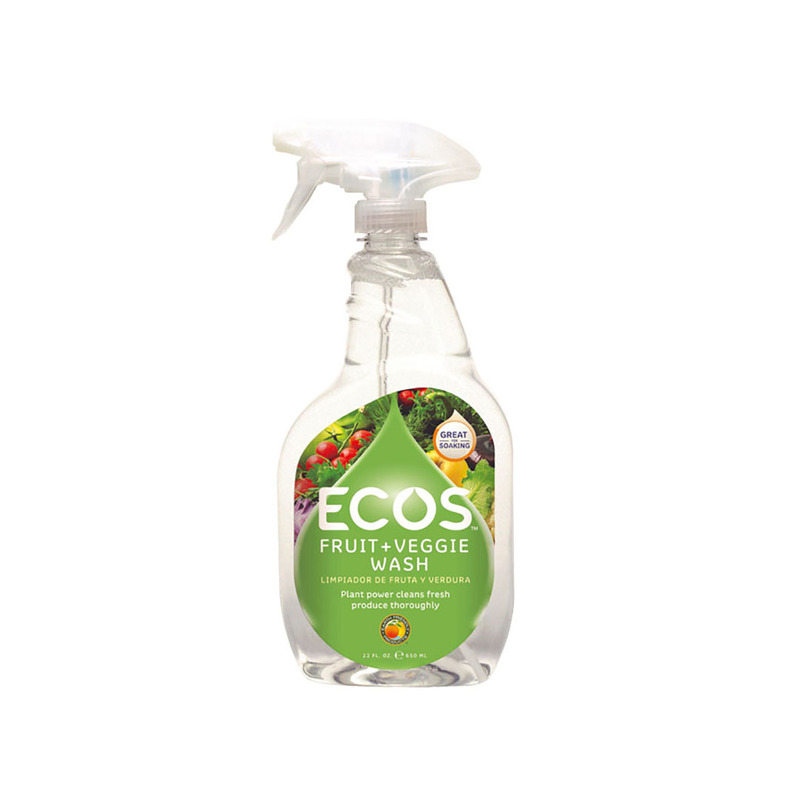 Fruit + Veggie Wash helps remove dirt, wax, bacteria, contaminants & chemicals from the surface of fruits & vegetables. Washing with water alone will not remove wax that is used as a rain-proof medium to apply agricultural chemicals. Fruit and Veggie Wash is a must-have if you have muddy root vegetables to clean or for washing fruits and salads before consuming. Fragrance free & tasteless, it rinses clean away. Vegan, cruelty free and carbon neutral. To clean fruits and vegetables such as apples and potatoes, spray enough to cover the entire fruit, rub surface thoroughly then rinse with water. For Salads, either spray directly onto the salad vegetables or dilute in a bowl of water and soak. Then rinse clean with water. Our ethos …remains the same: to seek out and develop unique household, lifestyle and personal care products that we can use ourselves and recommend to others. Products must be ethically and sustainably produced, emphasising natural plant-based ingredients and traditional methods and respect for the planet and all who inhabit it. Our products must work well, be affordable and have a feel-good quality. We are a family-run business and we work hard to use resources carefully. We respect our suppliers and customers and seek to develop strong and lasting relationships. This team effort underpins our ethos. We do not waste resources on expensive air travel and embrace the technology that allows us to keep in touch with our wonderful suppliers in the UK and overseas. We are committed to trying to have a positive impact on the environment.